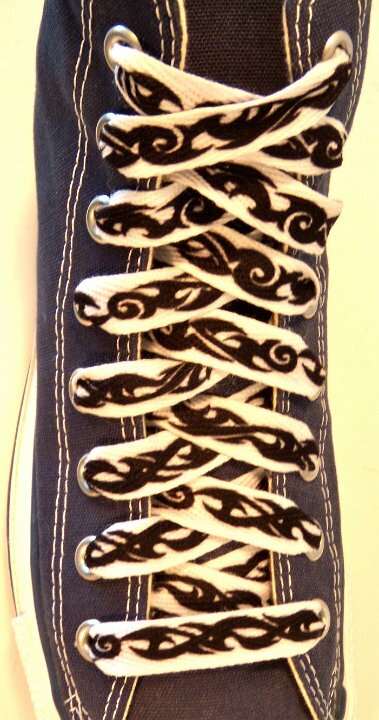 Photo gallery of tribal band print shoelaces on various pairs of chucks. 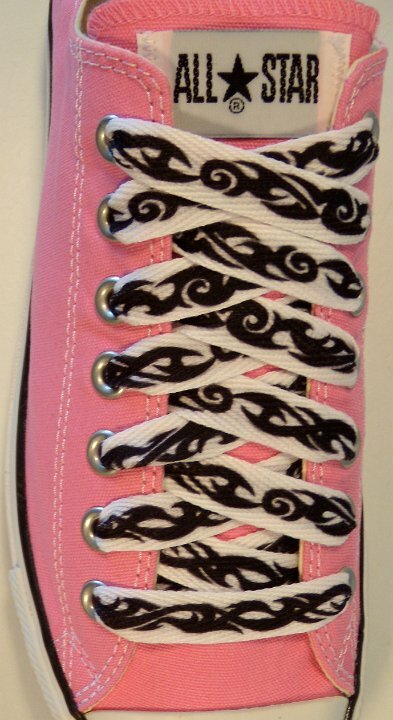 1 Tribal Band Print Shoelaces on Chucks Tribal band print shoelace on a pink low cut chuck. 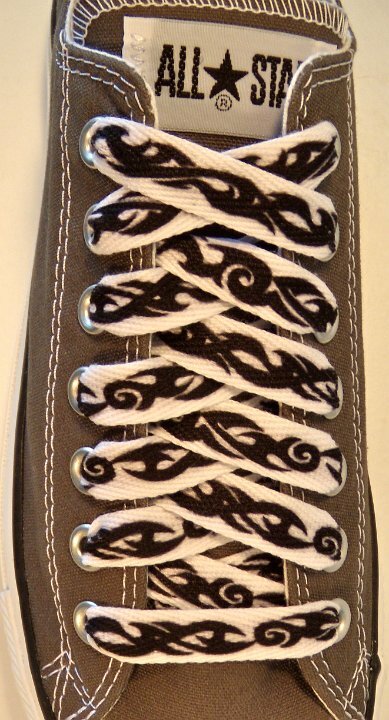 2 Tribal Band Print Shoelaces on Chucks Tribal band print shoelace on a charcoal low cut chuck. 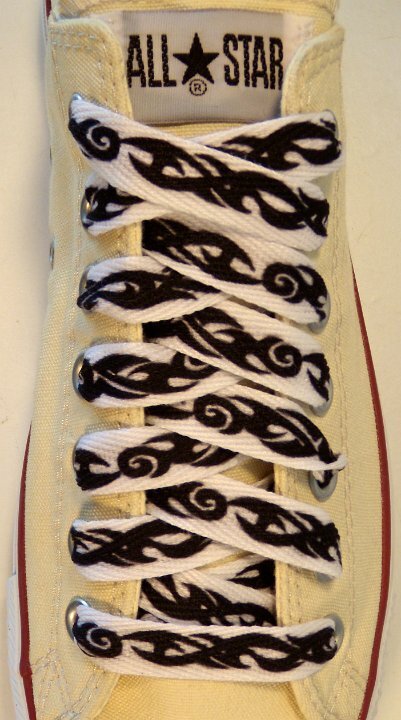 3 Tribal Band Print Shoelaces on Chucks Tribal band print shoelace on a natural white low cut chuck. 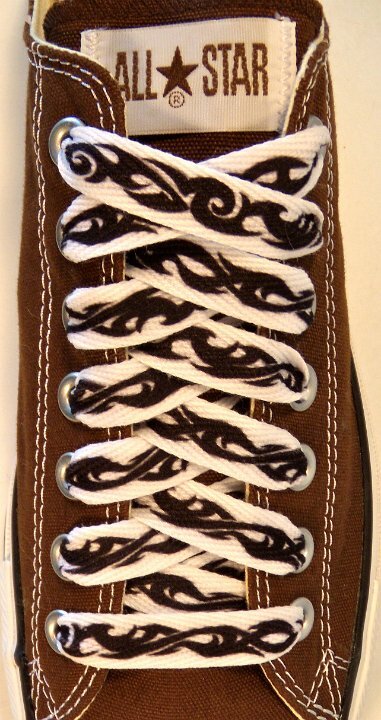 4 Tribal Band Print Shoelaces on Chucks Tribal band print shoelace on a chocolate brown low cut chuck. 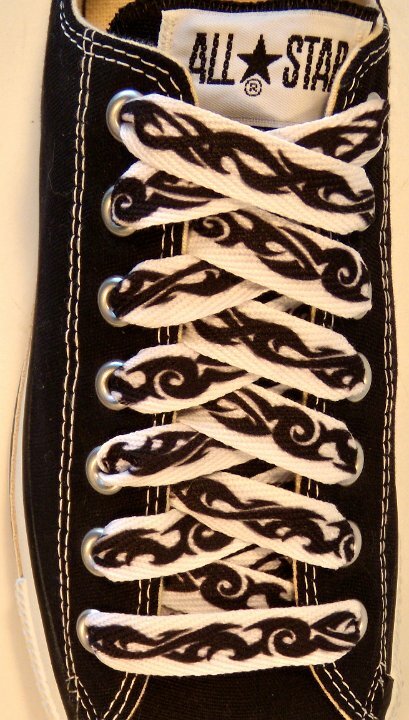 5 Tribal Band Print Shoelaces on Chucks Tribal band print shoelace on a black low cut chuck. 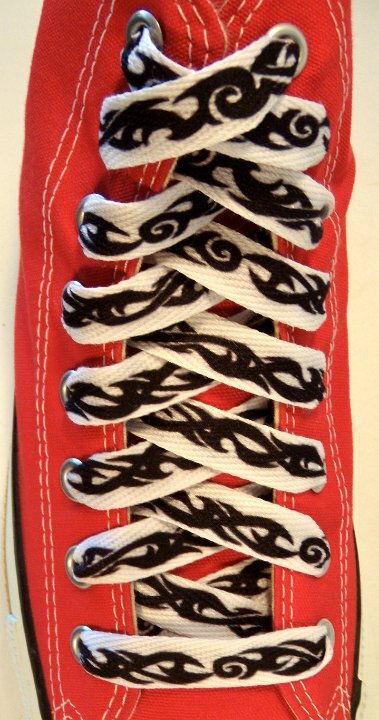 6 Tribal Band Print Shoelaces on Chucks Tribal band print shoelace on a red low cut chuck. 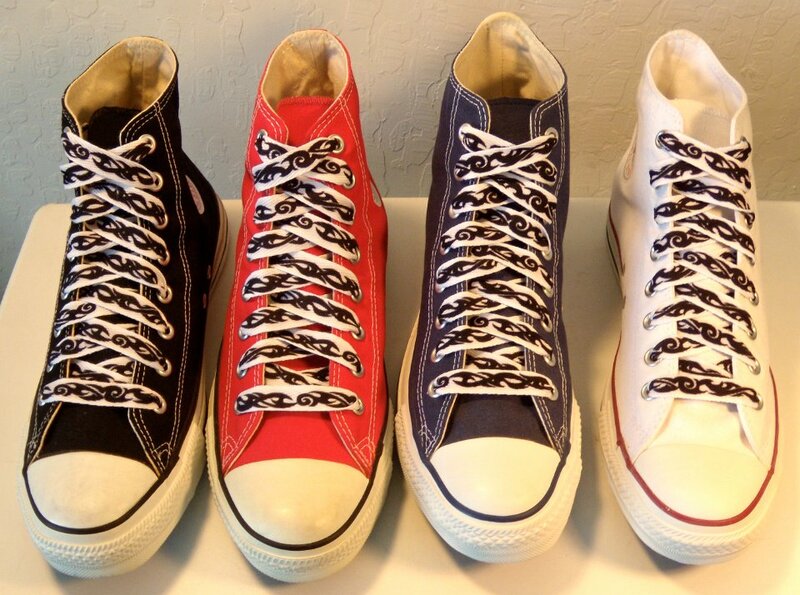 7 Tribal Band Print Shoelaces on Chucks Tribal band print shoelace on a navy blue low cut chuck. 8 Tribal Band Print Shoelaces on Chucks Tribal band print shoelace on an optical white low cut chuck. 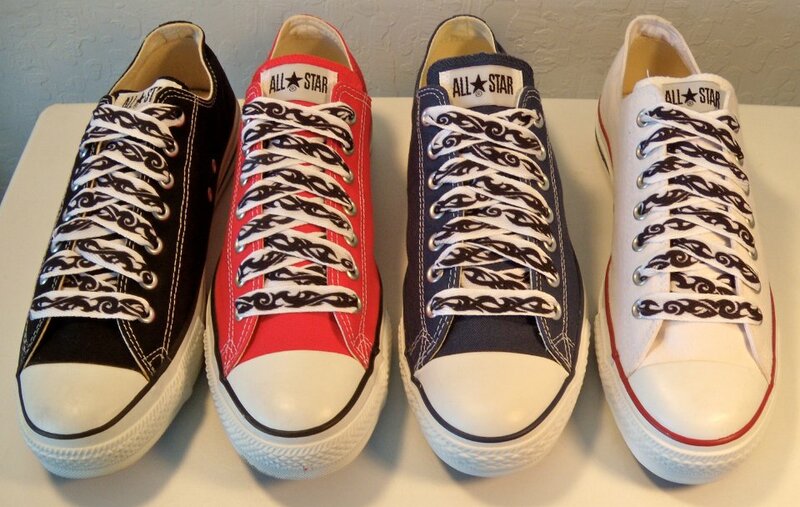 9 Tribal Band Print Shoelaces on Chucks Tribal band print shoelaces on core color low cut chucks. 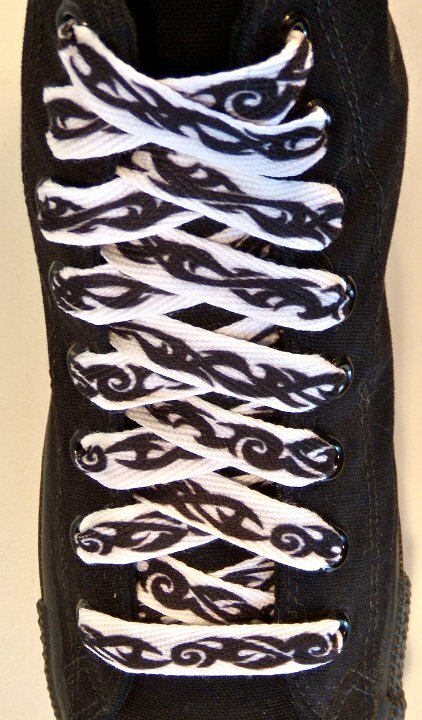 10 Tribal Band Print Shoelaces on Chucks Tribal band print shoelace on a mmonochrome black high top chuck. 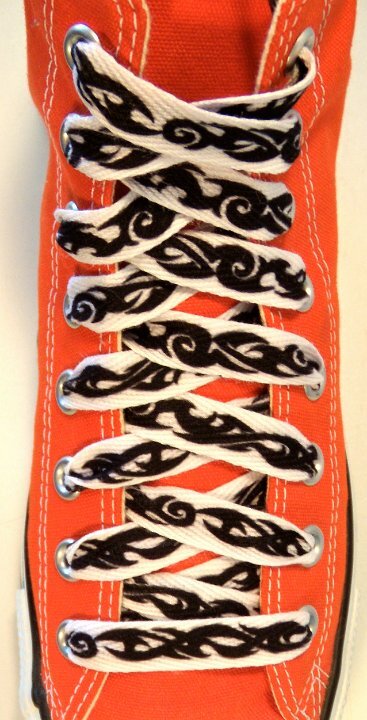 11 Tribal Band Print Shoelaces on Chucks Tribal band print shoelace on an orange high top chuck. 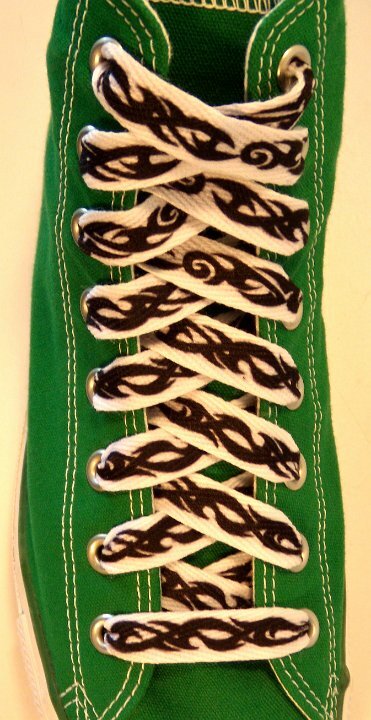 12 Tribal Band Print Shoelaces on Chucks Tribal band print shoelace on a kelly green high top chuck. 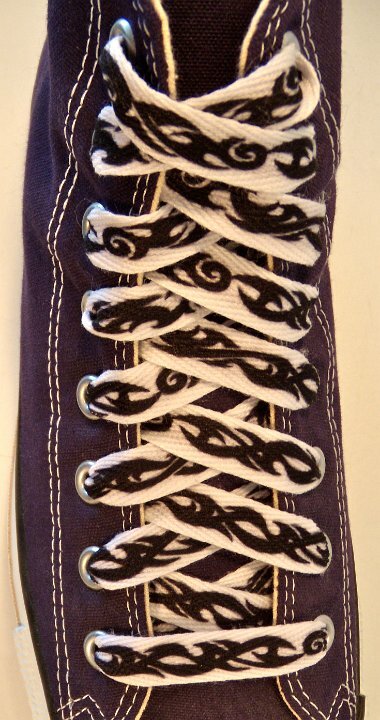 13 Tribal Band Print Shoelaces on Chucks Tribal band print shoelace on a purple high top chuck. 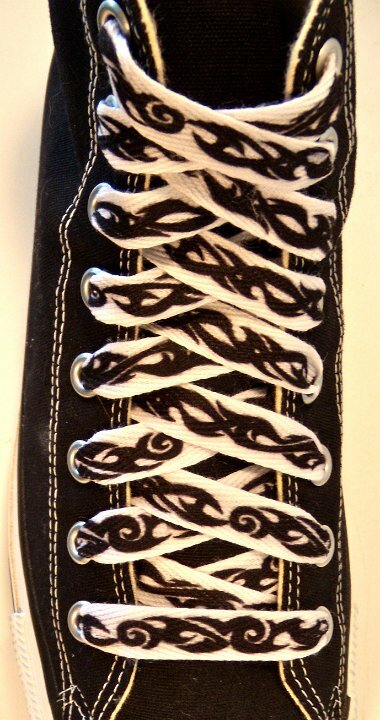 14 Tribal Band Print Shoelaces on Chucks Tribal band print shoelace on a black high top chuck. 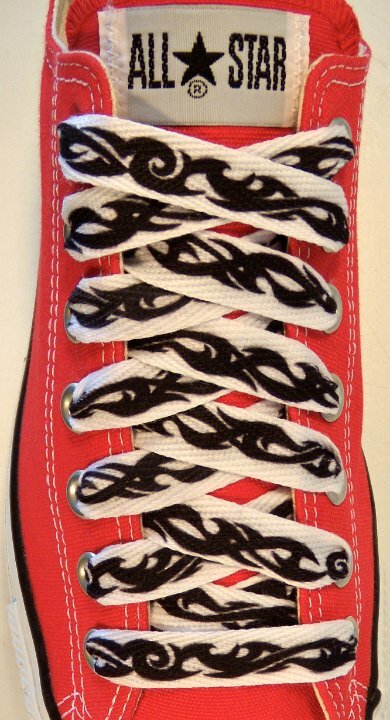 15 Tribal Band Print Shoelaces on Chucks Tribal band print shoelace on a red high top chuck. 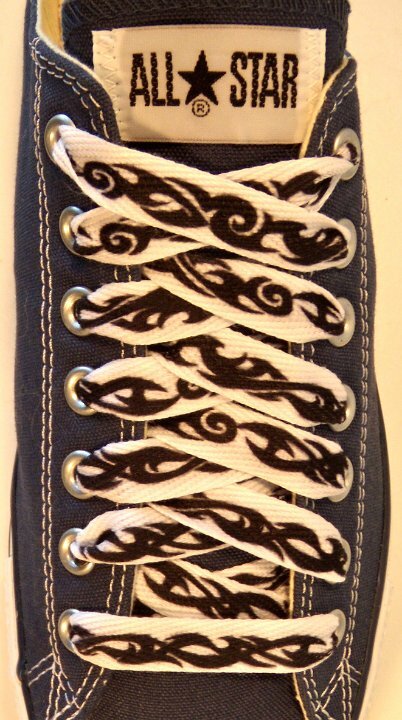 16 Tribal Band Print Shoelaces on Chucks Tribal band print shoelace on a navy blue high top chuck. 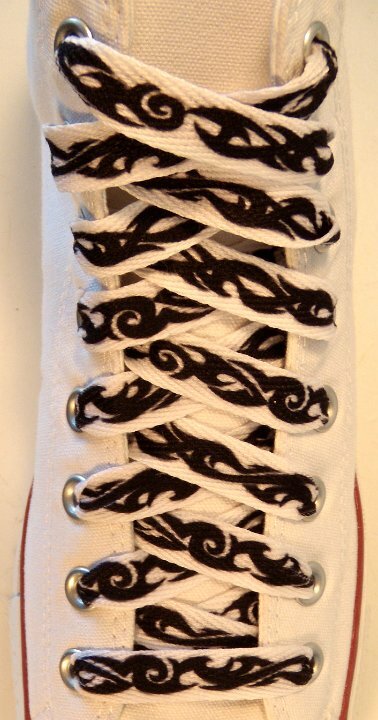 17 Tribal Band Print Shoelaces on Chucks Tribal band print shoelace on an optical white high top chuck. 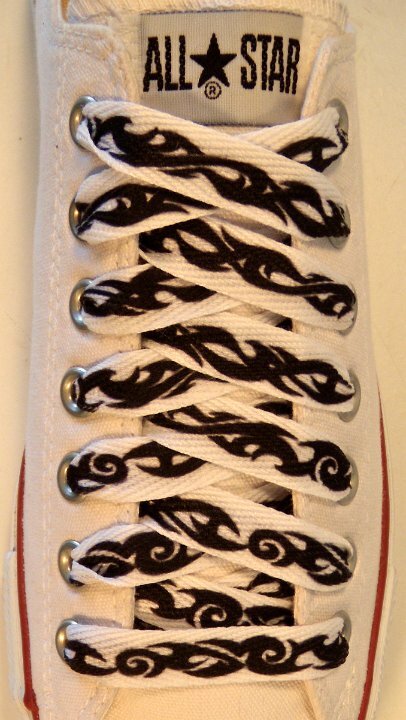 18 Tribal Band Print Shoelaces on Chucks Tribal band print shoelaces on core color high top chuck.